The United Nation’s Refugee Agency (UNHRC) has 45 people on the ground in Mexico helping the more than 7,000 people who are marching from Central America to the United States border with Mexico. The Mexican government initially warned people coming into Mexico illegally, mostly from Honduras, that they would be detained and deported. 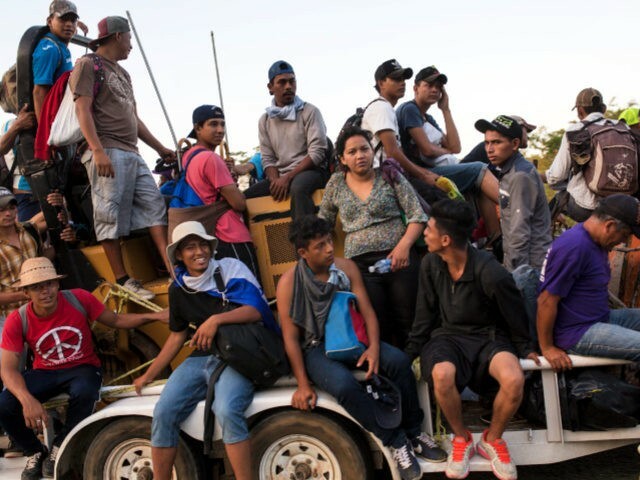 “However, after attempts to prevent the caravan from entering Mexico on Sunday proved futile, the migrants have walked and/or traveled on the back of trucks or in other vehicles through Chiapas unimpeded,” the news outlet repeated. The news outlet reported that the Mexican government invited the agency to help, even though most of the migrants don’t have visas and haven’t formally requested asylum with the National Immigration Institute (INM). But on Tuesday, U.S. Secretary of State Mike Pompeo made it clear that the president’s stance is not a mere threat.